With an exquisite coastlines dotted with numerous coves, bays and peninsulas, Greece and its islands are a traveller's dream destination. White sandy beaches look out over the clear blue seas of the Mediterranean, sprawling whitewashed villages cling to the high sea cliffs overlooking the Agean Sea while villas, towns, churches, forts, mosques, ghost villages, ancient harbours and cities with old quarters each with fascinating stories and histories lie waiting to be explored. These Greece Travel Tips will help you plan your next vacation. Try the local alcoholic beverages, like tsiupouro – distilled from grape residue. Greece is a year-round vacation destination that is known for it's lack of cold winters, with yearly temperatures ranging from 10 – 40 degrees Celcius. Greece has a typical Mediterranean climate with mild and rainy winters to relatively warm and dry summers. The country can be divided into the northern and southern climatic regions, the former known to have a climate similar to the Balkins (cold winters vs hot, humid summers) while the latter is known for longer summers and milder rainy winters. Hat – A wide-brimmed hat is a must, especially if you’re taking a boat tour. Pack one that easily rolls up. Bring more than one swimsuit – there are plenty of opportunities to swim, from the Aegean Sea to hotel pools, so pack at least two swimsuits that you can rotate between during your trip. Pack loose clothing with breathable fabric – cover up with fabric you know will breathe. Tunics are a great options as they can be dressed up or down, are light weight and offer good coverage. Linen layers are another great option. Leave your heels at home – Cobblestone streets are common in many towns that curve along the side of hills. Heels and cobblestone do not mix so opt for flats, boots and/or sandals. Check out our guide on Where to stay in Athens. It is broken down into neighbourhoods and budget levels. Perfect for the first time visitor to the city. Try WaterSkiing – The Cyclades are considered to be the best islands for those seeking water sports, of which Naxos is particularly popular. Rock Climb in Crete – the adventure sport is relatively new in Crete, but the area of Kapetaniana is fast coming into its own as one of the best areas for rock climbing in Europe. The village is remote and peaceful and contains six different areas for rock climbing, stretching from routes of 15m long, right up to routes of 40m long. Hike the Scene Samaria – the Samaria gorge is 16km long and starts at an altitude of 1250m and ending all the way down at Agia Roumeli on the shores of the Libyan sea. Go on an Equestrian Adventure – An activity that the whole family can get involved in is horse-riding and there are several stables situated across the country. 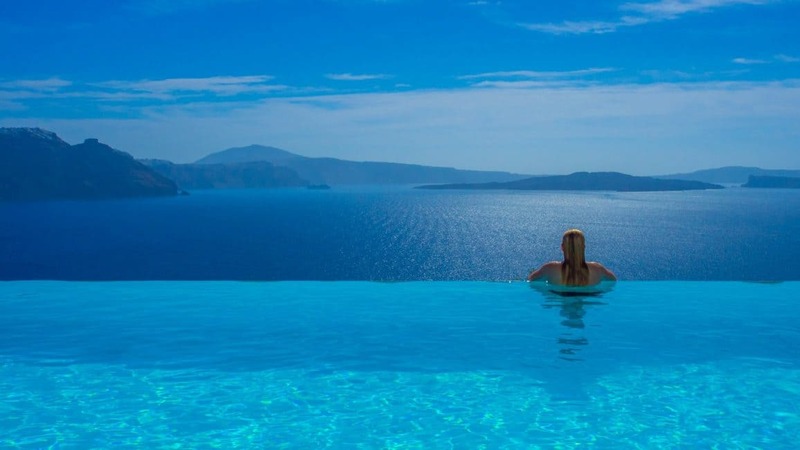 Sizzle in Santorini – from the picturesque towns of Oia, Imerovigli, or Thera, Santorini is a fairytale Greek island that will take your breath away the minute you take your first peek out over cliffs. Take in the view at the Iconic Santorini Cave Hotel – watch the sunset from the privacy and seclusion of the Iconic Santorini while enjoying some of the island's freshest catch of the day.